My Voice, My Wheelchair, My Life is a campaign to transform wheelchair services for users and their families. Ahead of a second wheelchair summit later this month, the NHS England lead for the improvement programme, Rosamond Roughton, Director of NHS Commissioning, talks about why it’s so important we get involved. For me, the journey started earlier this year when I was asked by our outgoing chief executive David Nicholson to be the NHS England ‘champion’. Little did I know that this would be the prelude to an emotional journey for me – when wheelchair services are great, what a transformation! When they are poor, Tanni Grey-Thompson’s blog on the My Voice, My Wheelchair, My Life website described only too clearly how it can make it harder for you to reach your potential, and participate in the world. I am so proud of living in a country with the NHS, but it is clear to me that all too often wheelchair services are seen as some kind of third cousin of surgery and medicine in the ‘mainstream’ healthcare world. Within days of becoming the NHS England champion, I had heard many stories, good and bad, of the kinds of services which people were receiving. I found myself in tears, watching a video of a young woman telling us how the provision of excellent wheelchair services through her adolescence had built her confidence to take her full part in the world, go to university, and reclaim her life. Fiona Carey, co-chair of the first wheelchair summit in February, shared stories rather less uplifting from her wheelchair basketball group – some of which made me cringe with shame for the way that services had failed people, and limited their daily life as a result. I then visited one of our NHS services, providing more specialist care. What really struck me was the amazing commitment of the staff. In a quiet but determined fashion, frankly largely ignored by their senior management in the past, they had cut the waiting times for their services and made improvements to specialist services. But there was so much more they wanted to do! And so much more that the users of their service would like them to do! So I want to make a difference to people who need wheelchairs. I want to help create an environment where staff are supported to make the kind of difference they want, and are recognised for their success. I have heard some sceptical voices out there – will this time be any different? We are building a national dataset, so that in future there will be transparency across the country about the quality of services. We are reviewing our financial systems (and the ‘tariff’) to improve the incentives for excellent services. And we are working to support and ignite commissioners to pay attention to this area – what does good look like, and are commissioners proud of what they are securing for their population? But long-term improvement will only happen if we all mobilise together: users, families, staff, commissioners, manufacturers and providers. Join the alliance for change – My Voice, My Wheelchair, My Life – and see what difference you can make. I will be there on 27 November, pledging my support, to make sure that in years to come I can be even prouder of our NHS. 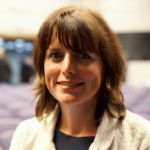 Rosamond Roughton is Director of NHS Commissioning at NHS England. Is there any update on what is going on with this campaign? I can’t find any recent information. Thank you. I have been trying too sort out a tariff for wheelchairs for 5 years, it is not easy and the outcomes are not necessarily what we would desire, I am glad that you have taken David’s commitment regarding wheelchairs on and would happily help in the journey …… unfortunately I was one of the doubters regarding AQP chairs and would be happy to discuss at some time … it is not easy but the key is that we integrate between health, education, social care and work & pensions. best wishes and good luck in the job!